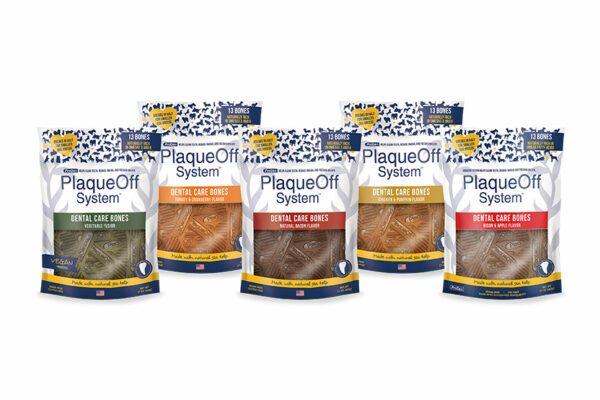 The post Dug Up at Dogster: 10 New Dog Dental Teeth Cleaning Products by Melissa Kauffman appeared first on Dogster. Copying over entire articles infringes on copyright laws. You may not be aware of it, but all of these articles were assigned, contracted and paid for, so they aren’t considered public domain. However, we appreciate that you like the article and would love it if you continued sharing just the first paragraph of an article, then linking out to the rest of the piece on Dogster.com. It’s February and time for our dogs’ dental cleaning! 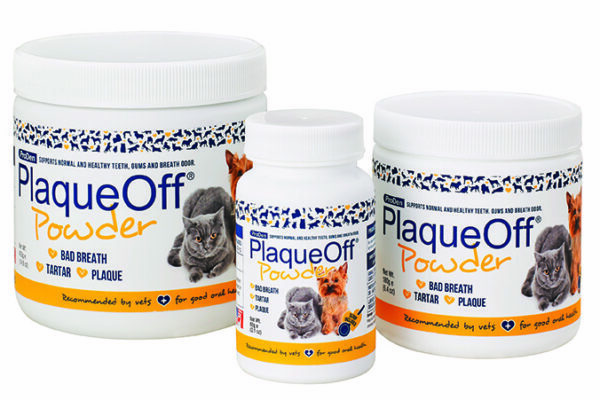 Many veterinarians discount dog and cat teeth cleaning services for this month. I know mine does, which is why I have both of my dogs’ teeth cleaned this time every year. (Just a tip: take your dog into the vet in January for his regular blood tests, which vets like to have done before the dental cleaning.) 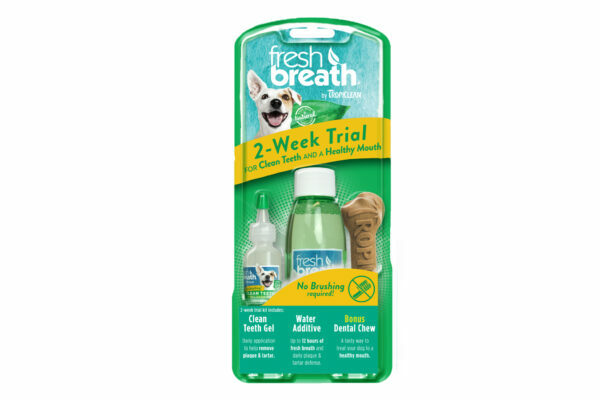 Besides your dog’s annual teeth cleaning, there are plenty of dental teeth-cleaning products to keep our dogs’ teeth in tip-top shape so you’re not faced with some surprise teeth pulling when your dog does get his teeth cleaned. 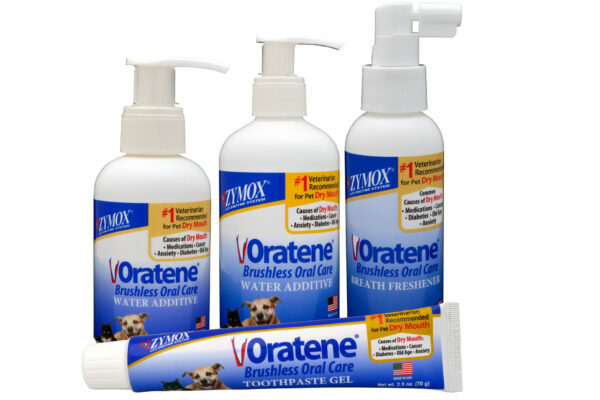 Dental products have made my life easier and both dogs’ teeth have improved by using them. And, I don’t know about you, but the highlight of my dogs’ day is when they get their tasty dental treats! Wish I could say the same about my dental products. Today’s dental dog product manufacturers create their dental dog products with our dogs in mind, making them easy to use and as fun as possible for the dogs. They get better, easier and more creative all the time. 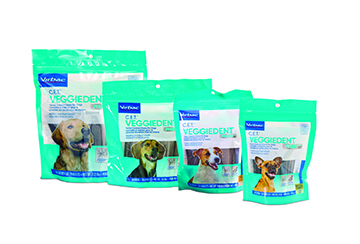 Check out some of the freshest dog dental products on the market today! They look like meat, taste like meat and even smell like meat — but they’re a vegetarian dog treat. 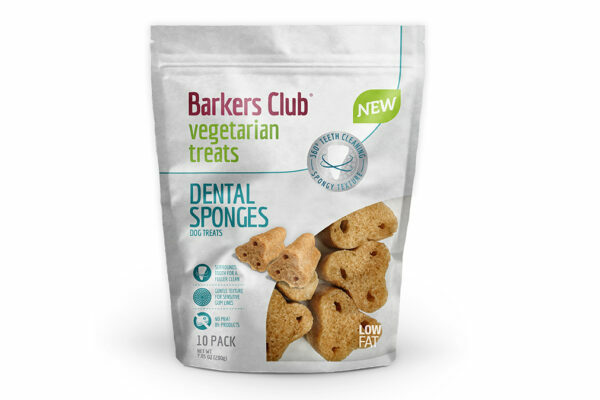 Barkers Club’s new vegetarian dental sponges have a gentle texture for sensitive gumlines and surround the teeth for a fuller clean. The line includes Dental Sponges, Peanut Butter Dental Twists, Veggie Bacon Waves and Veggie Pig Ears. Change the way you prevent tooth problems with a tooth-brushing stick that removes the plaque and bacteria without the tooth-brushing battle. 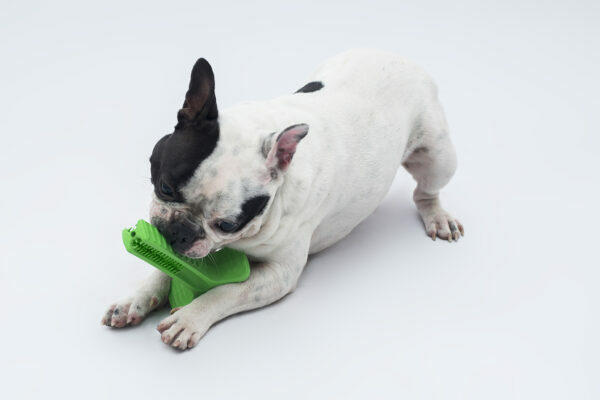 The stick shape makes it fun for dogs, with the easy-to-hold paw pads allowing the dogs to grip the stick and the two sides of bristle lines cleaning dogs’ teeth down to the gum line. 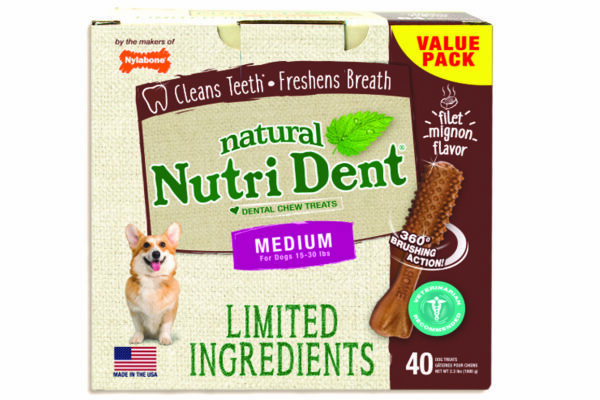 The bristles are flavored to promote chewing and increase palatability of the stick. Side nudges give extra brushing surface to increase the brushing effect. Plus, the Bristly has a self-dispensing toothpaste reservoir to make cleaning easier. Available in four sizes: S, M, L and Extreme Chewer. $16.99 — $24.99 | Bristly; bristly.com.